Saturday, August 3 - Saturday, August 10. Tuition per Person. $650 per person This includes EVERYTHING: Fully supported Parent NVC program and materials from Certified CNVC Trainers; Teen, tween and youth programs and materials; Private sessions; Mediation services; Pastoral farm for camping (in orchard? sure! Forest? absolutely! field? take your pick! up in a tree? Hmmm, that's going to take some doing but it's possible); Farm fresh food (the Family Camp garden is 20' away from the kitchen! ); Membership to Northwest Compassionate Communication, and more. You can﻿﻿﻿ register and hold your family's place﻿﻿ ﻿with a $500 deposit, with tuition balance due July 1. There is no tuition for babes in arms. We don't provide a program for the very young (<3 ). In the past parents have arranged infant child care, as needed, with other parents at camp. Scholarships and work trades We have made our request for tuition as low as we feel comfortable with and still maintain the quality of our program. If you would like to come to camp and money is a barrier, we do have ideas on how you can raise money for camp! PLEASE READ THROUGH OUR SECTION ON Family Camp and Money. We do have some scholarship funds available this year,,if you need support, please ask for scholarship support by June 1. We are not offering work/trade discounts to parents this year. We've experimented with all kinds of work trade arrangements with parents/families, and have found that there is so much going on at camp, that very few parents have more than an hour to comfortably give to camp tasks..
That said, if you would really like to work at camp to offset tuition request, and have come to camp before, and have children over the age of 12, please contact Barbara and let's see what we can work out! 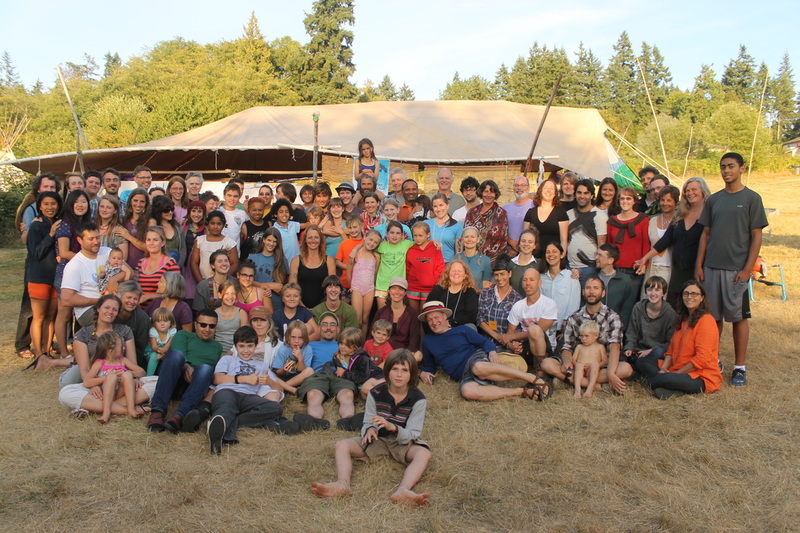 Family Camp is intended for people interested in staying the whole time. Extraordinary circumstances might incline us to reconsider but we've found over and again how transformative being there the entire time is and how people coming and going adversely affects the camp container. This is an immersion training-vacation experience.